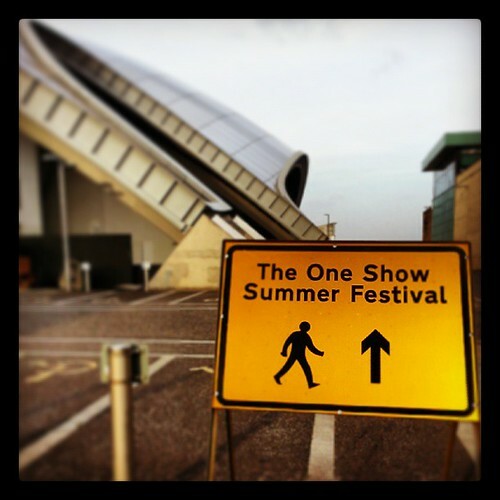 #AugustBreak2013 Day 27 | The Tales of Missus P.
BBC’s The One Show is filming their Summer Festival at The Sage today and tomorrow. I really want to be nosey and check it out tomorrow, since I was over there too late this evening. Today I finished my current project. I say finished as it was at the end, I saw the end, I sprinted to the end. It’s 40,000 words. So, it’s a Young Adult horror novella, I guess. My idea now is that I can take it and use it as a theme for a series since my main goal for starting the book in the first place was to make my own Fear Street. Of course, once I was done, I felt yucky. Not good, not pleased with myself, just bad. Like depressed because I don’t know what to do with the stupid thing. I can edit and query, I guess, and just keep on as if I’m going to self publish. I know being a published author, traditionally, is the dream goal, but I want a readership. I want people to like what I write. One day I want some awesome hardcover novels with my name on them gracing the proud shelves of book bloggers. But that doesn’t happen all at once, so I’ll just keep on keeping on. I wanted to get set on my next project anyway, so I think I’ll get out of the house tomorrow, do some research and some coffee drinking, and let my mind go free for a bit. I don’t want to hate the horror book, but I know what problems I have to address. I’m still thinking it’s just not worth querying about. I’ve read too many “sorry, submissions are closed” on small press sites anyway, and the ones I can submit too don’t seem to do young adult fiction. *shrug* Looks like it’s just up to me anyway. Anyway, I picked up Steve, came home, ate a bunch of cookies, and stopped worrying about said book. If it’s not a masterpiece, so what? It’s all part of the biggest process. The whole writer thing is a minefield anyway because everyone wants to be the next big thing. I wonder if this is how athletes, actors, lawyers, and singers feel. This entry was posted in All About Me, Books, Publishing, Writing and tagged AugustBreak2013, Sage, self-publishing, traditional-publishing, YA Fiction. Bookmark the permalink.